Traditional fun styles and colors for every special girl. Mix includes 10 artsy designs made to attract girls of all ages. 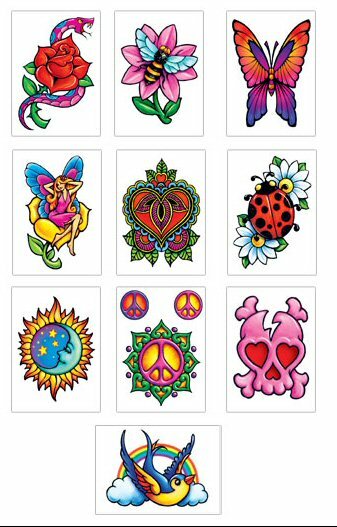 These temporary vending machine tattoos are made specifically to vend in most standard sticker or tattoo flat vending machines. Each tattoo is packaged in an individual cardboard folder measuring approximately 41/2 x 3 inches. They are ready for your convenience to easily load or refill your bulk machines. I bought some of these the other day for my daughters and ended up putting one on me because they were so cool!